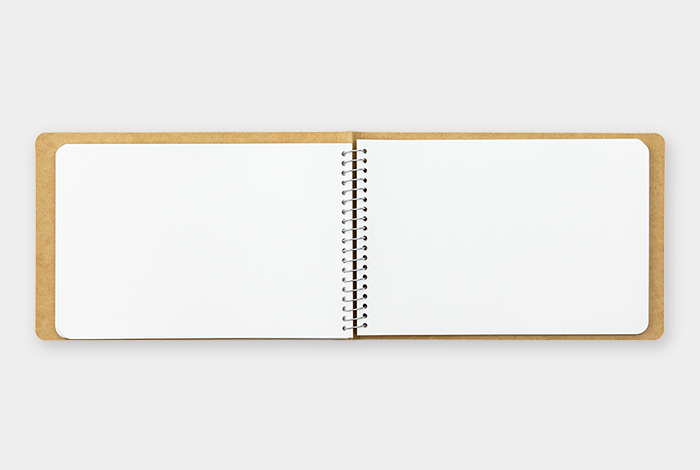 The papers inside this notebook are white as a field of snow a polar bear walk. 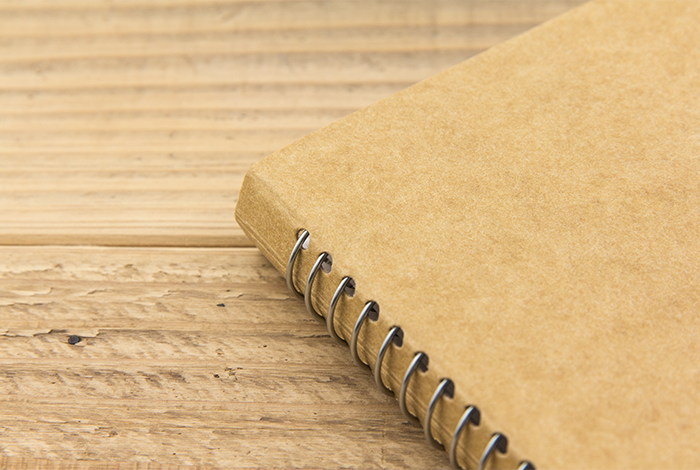 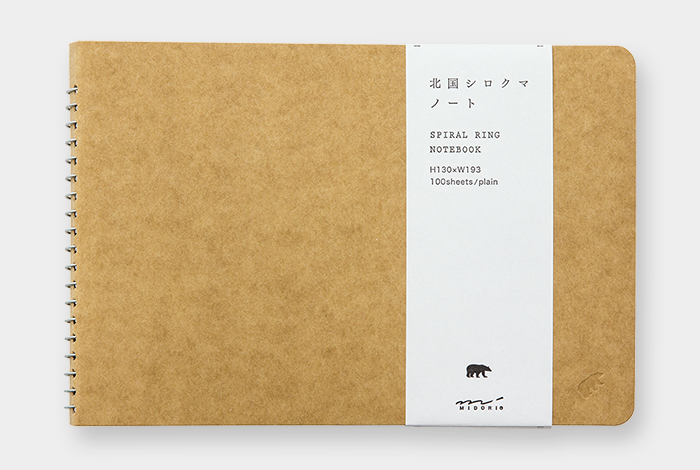 The MD paper is used in this note-book where it pursues the best feeling when writing. 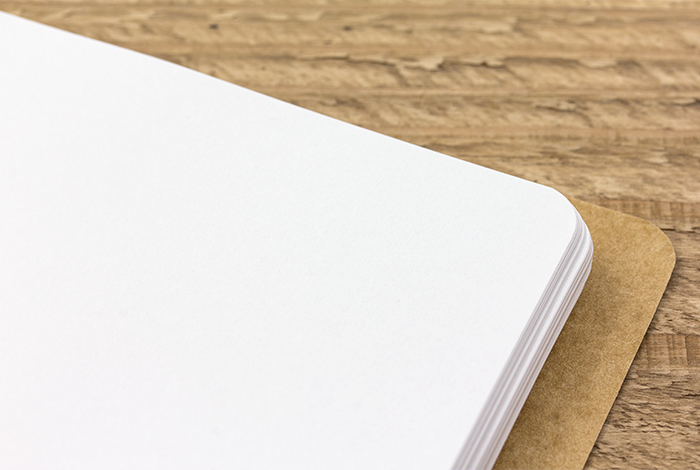 The paper goes perfectly well with pencils and fountain pens, so please feel free to write anything that comes up to your mind. 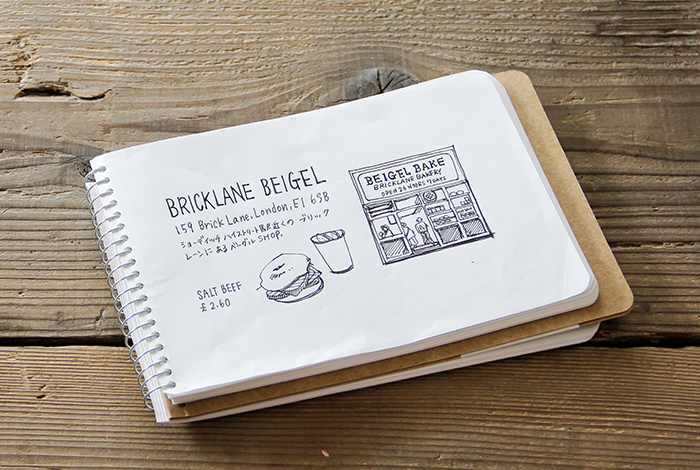 This is a size in which you can use this as a portable sketchbook at a café you drop by. 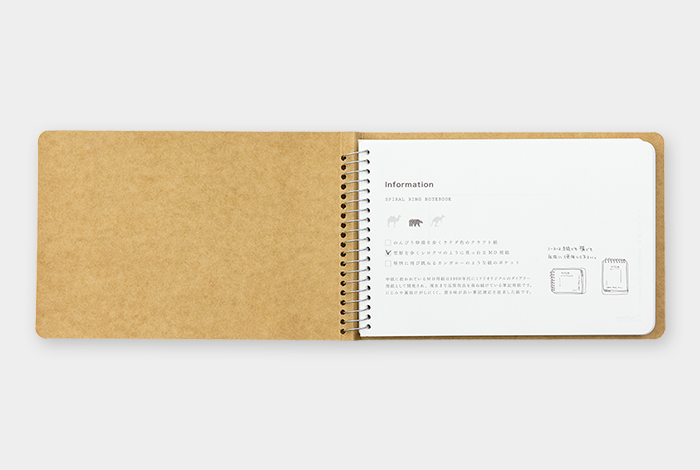 Once you start communicating with this notebook, you might be able to draw a masterpiece.